So, I can tell you about car seats, neck pillows, rear-seat mirrors, etc, but there are plenty of sites that have covered that topic extremely well and I’d just be repeating, however the number one thing to keep baby safe in a car is to be a better driver and avoid accidents. I’m not saying you’re a sucky driver, however be a better one. It’s not hard, it doesn’t cost you much, and it can save your and your baby’s life. Also y some of the advice it might save you money in the form of tickets, blown tires, or damaging your car. Too many times I see people get suburban assault vehicles and think they’re immune to the rules of the road and also newtonian physics. Having a larger vehicle means you’re more likely to survive a crash at normal speeds, but your safety net starts going down as you near warp factor. In rain or inclement weather you see people slam on the brakes and start doing 20 mph in a light shower. That’s because they can’t see properly through their windows, usually due to crappy $9 wipers they got seven years ago and no window treatment. For between $8 and $15 a wiper you can get some Rain-X brand wiper blades from Amazon that include one application of Rain-X. With Rain-X (or similar products, I’ve used a few,) you generally do not even have to turn on your wiper blades in a shower. You can also change out blades on most cars in under two minutes a blade. It’s seriously easy. 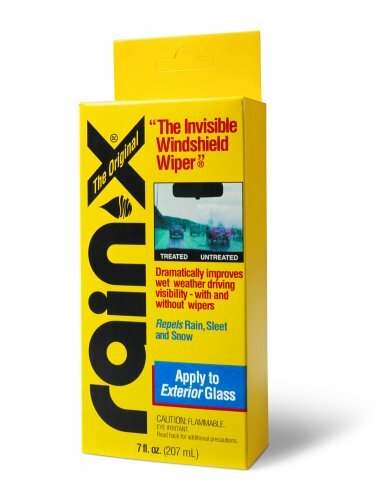 For under $4 you can grab some Rain-X in a bottle and use it with your existing wipers. I cannot stress how good this stuff is. I’m sure there are generic equivalents, but this works wonders, is cheap, and one bottle lasts for years. You can even take wipers on their last legs and keep them running for a while. BTW, if you feel I’m shilling for Rain-X, feel free to remove my tracking tag from the links or visit Amazon on your own. I’d rather you safe than Maggie get $0.30 in commission. I’ve been using Rain-X brand products since I could drive. I always forget how good they are until I’m in someone else’s car and I can’t see anything. There are reasons motorcycle lights are always on, and that’s because you are noticed. It doesn’t matter how bright the day, those lights should be on to lower the risk of someone just staring right through you. While this was learned in a motorcycle safety class, the same applies to cars. Drive so you’re visible. Don’t tailgate a truck. Also realize when you can’t be see such as at an intersection with a lot of bushes and trees blocking the view. There’s a fight breaking out, or the little one is coughing, your first step is to check the surroundings before you look back to check them. It’s counterintuitive to a parent to do this, but keep in mind your first look/delay may keep you from bashing into a car and making things worse. Don’t be looking in a baby seat-mirror without checking the entire surroundings, you can get a series of conflicting visual images when you see traffic in front of the car reflected in the mirror or you catch glimpse of traffic behind you. No, you don’t get to drive around with a low tire. That makes you susceptible to blowouts, tread separation, and your monster truck flipping because you’re doing 80+ and got a flat at speed. 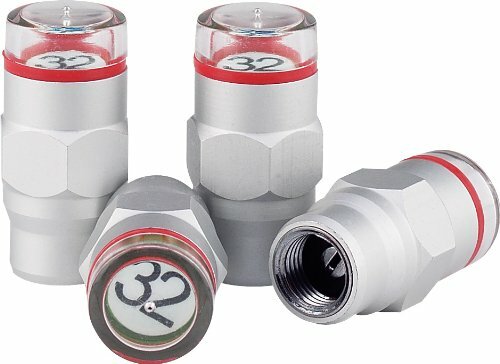 While most vehicles have TPMS, if you don’t or your system is down, grab some pressure caps that will turn red when your tires need air. Also carry an air pump/jump starter. Seriously. These things come in so handy I can’t believe they’re not mandatory equipment. Rather than taking the time to individually check each tire, you just look at the caps, see there’s one red, bam, fill that one back up. No need to schedule time, you’ve got it taken care of. You also save a ton of gas. Also read up on when your tires need changing. I’m not going into that now as I’m tired and your type of tires probably are different than mine. I don’t care if you’ve got the right of way, or if it looks like the car in front of you is planning on staying sane, expect and plan for someone on each side of you to go absolutely mental and do something stupid. Plan your escapes. Know where is open. So you have to listen to a baby cry for another minute or two because you didn’t run the yellow. WTF ever. All these little times you feel like you’re wasting don’t add up to one time in the hospital or worse yet a funeral. look up crash and death statistics on highways vs back roads. Learn to drive them, you’ll be safer than driving through the burbs where there’s cross traffic, people and cars jumping out of nowhere, and a lot of people who think they’re safer driving by staying off the interstate. If you don’t feel safe to drive somewhere, learn to drive there… should make you a better driver.. unless you’re incapable of becoming a better one. That’s about it. 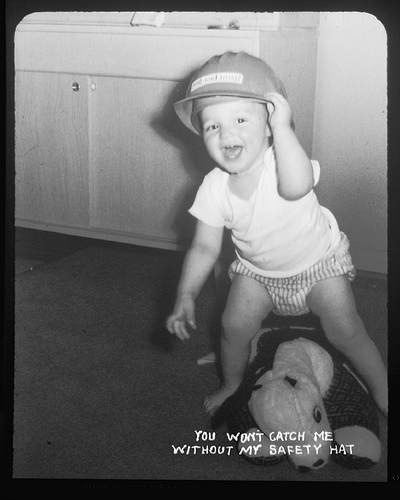 You and your skills are the best thing that is going to keep baby safe. I’m continually amazed that people will invest in a $500 car seat rather than taking a defensive driving course or spending $20 on some new wiper blades so they can see when it rains. Oh, and don’t get in a wreck.